The fund that helps Pennsylvania protect the safety and well-being of dogs in the state—not to mention members of the public from dangerous dogs—is expected to run out of money next year due to several factors, including the diversion of $4 million in 2009 to balance the state budget. Without additional revenues and the legal authority to modernize its operations to function more efficiently, the work done since 2008 to protect dogs in commercial breeding kennels and to help reunite stray dogs with their families will be undermined severely, if not ended entirely, putting dogs and puppies at greater risk of mistreatment. · Provide resources to protect the public from dangerous dogs. To finance these improvements and to keep dogs and the public safe, these bills would increase the cost of a dog license for the first time in over 20 years—and only at a rate in line with inflation. As two examples, the annual license fee for spayed or neutered dog would increase from $6.50 to $10, and the lifetime license fee would go from $31.50 to $47. These proposed license costs are comparable to—if not less than—what dog owners pay in parts of Pennsylvania that set their own rates. For instance, the annual dog license fee in Scranton is $35, and Altoona charges $54 for a lifetime license. SB 738 and HB 1463 are a reasonable and timely approach to ensure dogs continue to be treated humanely in Pennsylvania and the public continues to be protected from dangerous dogs. These bills will also modernize the way the commonwealth and counties license dogs, allowing for greater efficiency, greater customer service, and better recordkeeping. 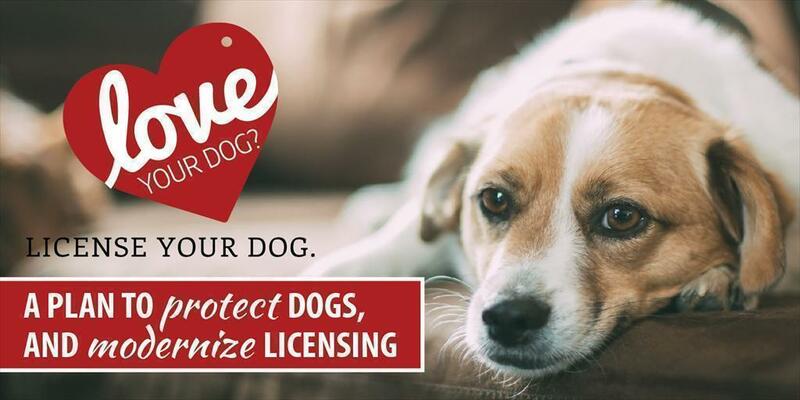 · Make it easier and more convenient for citizens to license their dog. Right now, counties use a fragmented system of multiple online vendors or—in some cases—only paper forms to license dogs. SB 738 and HB 1463 will allow the state to create a single online platform where citizens can buy dog licenses from the comfort and convenience of their own home. · Generate more revenues and savings for counties. By increasing the amount of money county treasurers keep for every license they sell, SB 738 and HB 1463 could produce hundreds of thousands of dollars more for counties each year. Plus, by having one online platform for selling dog licenses, counties that now pay as much as $10,000 to create their own systems, plus $5,000 in annual maintenance costs, can access the statewide system free of charge. · Helps protect stray dogs. More than 5,000 stray dogs were helped in 2016, by ensuring they are held safely in shelters until they can be reunited with their owners. · Monitors dangerous dogs and responds to dog bites. There are about 520 dangerous dogs registered or pending registration in Pennsylvania. A report issued earlier this year ranked Pennsylvania 4th nationally for the number of dog bite insurance claims filed by homeowners. Simply put, the well-being of canines across the state. Since establishing in 2008 some of the most stringent requirements for protecting dogs in commercial breeding kennels, the state has made great progress to keep dogs safe. Without SB 738 or HB 1463, the state will not have the financial resources to continue this work, threatening to undo the progress made over the past nine years and putting dogs and puppies at greater risk of mistreatment.